Previous PostThe Wanganui River and the incredulous incantations of the Neo-Tohungas…Next PostThe Verdict is in… as predicted… ‘Closing the Gaps’ Socialism has been a disaster for Maori and New Zealand as a whole. I suggest you get the relative subject pronoun who right. You keep every time saying whom when you should say who. An important point which the academics will take advantage of. If you don’t know the rule, it is best to just every time say who. Neither “Land Wars” nor “Maori Wars” accurately explain the basis of the conflicts that race mongers now wish to commemorate in order to further stoke anti-White and race separatist sentiments. These misnomers have been coined and propagated to imply the Crown made unjust war on a collective Maori in order to “steal” their land. The war was in fact between the Crown and specific tribes, who challenged the Crown and lost. The Crown then punished these groups with land confiscations as it had earlier warned it would do if they didn’t lay down their arms and cease their provocations. The tribes on which the Crown waged a series of localised wars between 1863 – 1878 were predominately based in the centre of the North Islam (Tainui, Tuwharetoa, Tuhoe) and had never signed the Treaty of Waitangi in the first place. Under the legal doctrine of privity of contract, only the parties to an agreement are bound by it or can claim its protection in the event of a breach. So no Treaty breach there. 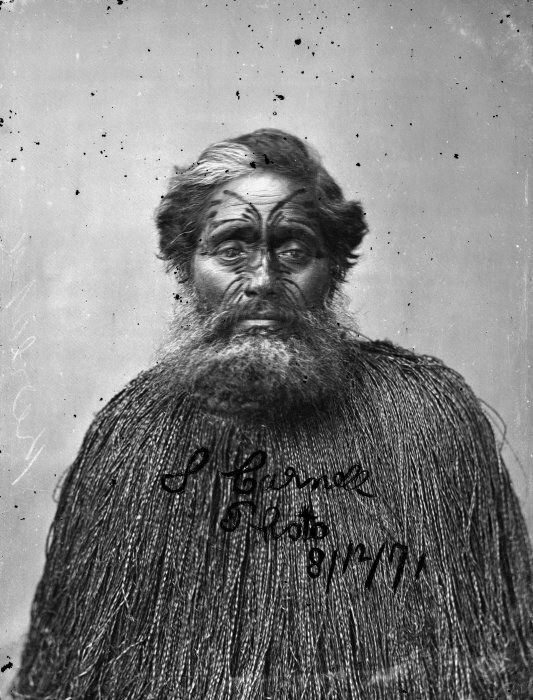 The Tainui tribes set up a “King” as a rival sovereign to the Crown and drew a handful of other tribes outside the immediate locality who HAD signed the Treaty into joining them. The Kingite Movement was thus made up of aggressive challengers to the Crown’s sovereignty and rebels against it. The ensuing wars were brought on by a minority of Maori Chiefs who saw colonisation as a threat to their mana and power, especially as their people had begun to exit their tribal lands in order to live independently close to the larger cities and towns. A plan was hatched by the dissident chiefs to get rid of the Treaty, British Sovereignty, law and order, and to drive the Pakeha out once and for all. “Sovereignty Wars” is the correct description of these conflicts, since they were undertaken both to extend the Crown’s sovereignty over those who’d never acknowledged it, and to bring those who’d rebelled against it to heel. Crown troops entered the Waikato in 1863-64 after numerous provocations from the Kingites that began several years before. A number of Taranaki chiefs had in 1854 formed an anti-land selling league. Its ability to intimidate others who hadn’t joined the league was preventing local chiefs who wished to sell land they owned to the Crown from exercising their Treaty right to do so. In 1860, the Crown negotiated the sale of the Waitara Block with Teira, its legitimate owner. Wiremu Kingi acting as the head of the land league intervened to block the sale. The Crown upheld Teira’s right to sell. 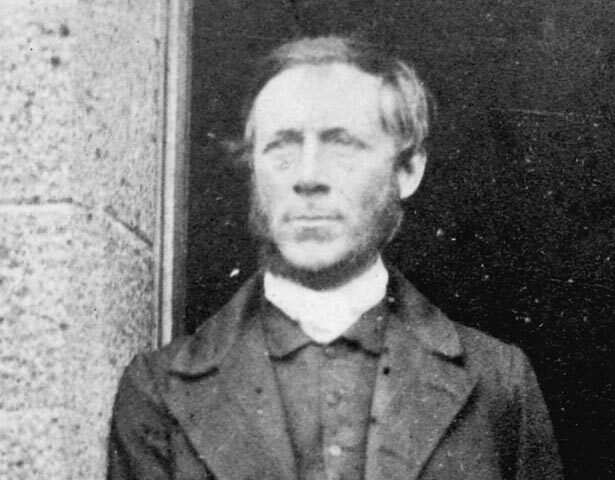 Governor Thomas Gore Brown convened a month-long conference of around 200 chiefs at Kohimarama, Auckland, starting 10 July 1860, to confirm support against the Waitara rebels and to isolate the Kingites. Of the attendees, the only ones who endorsed Wiremu Kingi’s position in the Waitara Affair were his own relations. The Kingites subsequently developed two plans of attack on Auckland, one involving a night attack in which the town would be set on fire in a number of places by Maori who’d taken up residence there for that purpose. Their stated intention was “to drive the Pakehas into the sea.” Before any such uprising could occur, the government issued an order on 9 July 1863 requiring all Maori living north of the Mangatawhiri River to take an oath of allegiance to the Crown and surrender their weapons. Those refusing to do so were required to retire to the Waikato. A further proclamation dated 11 July 1863 warned that those who waged war against the Crown would have their lands confiscated. Crown troops crossed the Mangatawhiri River on 12 July 1863. 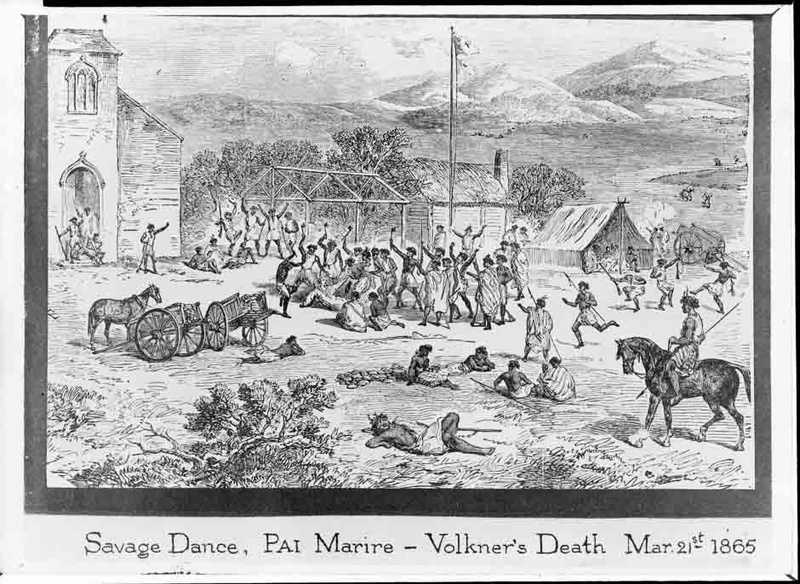 Maori who refused to take the loyalty oath were evicted as the soldiers advanced. Fighting occurred at Meremere, Ngaruawahia, Rangiaowhia (southwest of Cambridge) and at Orakau (near Te Awamutu) during 1863 and 1864. The final military action of the Waikato War was on 2 April 1864, at Orakau. A proclamation confiscating land was issued in December 1864 under the New Zealand Settlements Act 1863. The Kingites formally sued for peace in 1865, though sporadic guerrilla warfare waged by small bands of dissidents hiding out in Tuhoe country continued until the late-1870s. A total of 619 anti-government Maori were killed in fighting in the Waikato and Bay of Plenty from 1863–1864, while 162 British troops and settler militia, settler non-combatants, and pro-government Maori lost their lives. The confiscated Kingite territory initially comprised 486,501 hectares, including virtually all of Waikato north of a line drawn from Raglan to Tauranga. The Crown’s intentions were twofold. Firstly, to defray the cost of what had been an expensive war it hadn’t wished to wage in the first place. 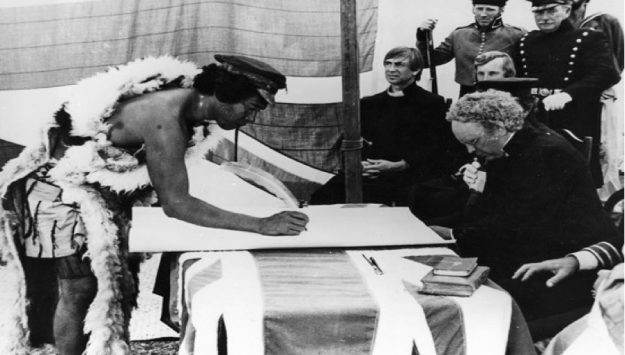 Secondly, the Crown intended to put settlers with military experience onto land in a buffer zone to be created between Auckland and the Waikato against a renewal of hostilities by the Kingites. Approximately 127,218 hectares were prior to 1873 returned to Waikato Maori who were judged not to have rebelled. The final confiscations totalled 359,283 hectares. It should be noted that nobody was turned off land that he identifiably occupied or cultivated. Large tracts of “waste land” with no identifiable Maori owners –“Crown Land” of the Kingites being the best description of it – was simply Gazetted as Crown Land, meaning all neighbouring tribes actually lost was the opportunity to turn land they didn’t own anyway into cash at some future point in time. Once peace was made, the Kingites were treated as British subjects, a far more benevolent fate than they’d have suffered had they been conquered by another Maori tribe, and indeed considerably better treatment than the Tainui tribes had meted out to others during the Musket Wars of the 1830s. Nonetheless, for around 70 years, Tainui kept up an avalanche of complaints and petitions that the land confiscations were both wrongful and excessive. Eventually, the Labour Party buckled to this pressure, and gave them something to keep Princess Te Puea and the Kingites in the tent for Labour. I call that a done deal. Yet Waikato-Tainui were handed a second full and final settlement of $170-million in 1995, on the basis of what the Waitangi Tribunal asserted were “Treaty breaches,” despite never having signed the Treaty of Waitangi. This settlement specifically excluded further claims that Tainui might mount over the Raglan, Kawhia, and Aotea Harbours, and to the Waikato River, so that one wasn’t “full and final” either. You have a number of alternative facts in this and other of your posts. People would assume that you would have researched the topic well, so would take it for granted that everything you write is correct. Wrong! For one, some tribes within Tainui did sign the Treaty. Nor were there were planned attacks on Auckland. It was scaremongering in order to justify an invasion to show superiority and to obtain land. The institution of the Kingitanga was a way of unifying tribes in order to hold onto land, their economic base, so that all Mäori could prosper. They were in fact very prosperous at that time so there was no reason to attack their major market. The Land Wars are what took away Mäori prosperity and it has never returned. The government has since apologised for that wrongful invasion. You really need to do better research because there are many other things that you have got wrong. Too many to comment on here. However, I do realise that the audience you preach to doesn’t care if it’s wrong. You seem intelligent enough so I was wondering why you would have such a strong distaste for Mäori. Then when I read what you wrote about your father I realised that you are taking it out on all Mäori.